First off – I’m never sure whether it’s “kabbala”, “kabbalah” or “kabala” So, I had to plump for a spelling and I’ve gone for the one in the headline. Tell me if I’m wrong! It’s a recurring discussion among Templar enthusiasts that the Order established its headquarters deliberately at the Temple of the Mount (see earlier posts) in order to basically dig down and unearth some secrets held beneath the ancient Temple. READ MORE: Is there a Muslim inscription on the Throne of St Peter? One theory is that the Templars were seeking the secrets of the Kabbalah. This is a series of teachings that are completely outside the usual Jewish texts and describe a rather mystical/magical way of getting to know God. In one account of how the Kabbalah was transmitted to Jewish rabbis, it came via the fallen angel Raziel. This angel, the keeper of secrets, had special access to God and would write down everything He said in a big book. This book was handed by Raziel to Adam and Eve – forbidden knowledge of course. Other angels got it back and chucked the offending book in the sea. 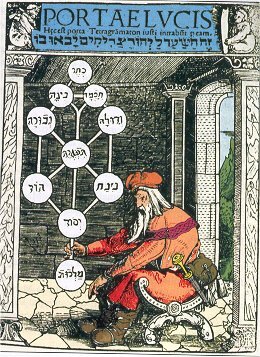 The Kabbalah, a gift to mankind from Raziel, is a magical text that allows mortals who embrace it to communicate with the ‘other’ world of the spiritual. If you’re detecting a dualist view of the universe as expounded by Plato, then you’re on the right track. Plato didn’t just influence Christians – he also exerted a huge influence on Jewish thought. While Kabbalists have always insisted they believe in the unity of a single God, it’s a stream of thinking that’s always sounded suspiciously dualist to mainstream Judaism. Modern Kabbalists also like to claim that the fairly small text anticipates modern atomic theory, the spherical shape of the earth the existence of other solar systems, etc, etc. I’ve heard the same claims made for the Koran and Nostradamus. But is it so unusual in the ancient world for people to have grappled with the concept of atoms and other universes? Simple answer – no. The Greeks went much further without recourse to magical mumbo-jumbo even calculating the distance between the earth and the moon and the earth and the sun with remarkable accuracy – by use of pure mathematics and a fairly good grasp of rudimentary astronomy. But OK – let me not piss completely on the Kabbalist parade – after all, they count Madonna in their ranks. So there must be something going for it. 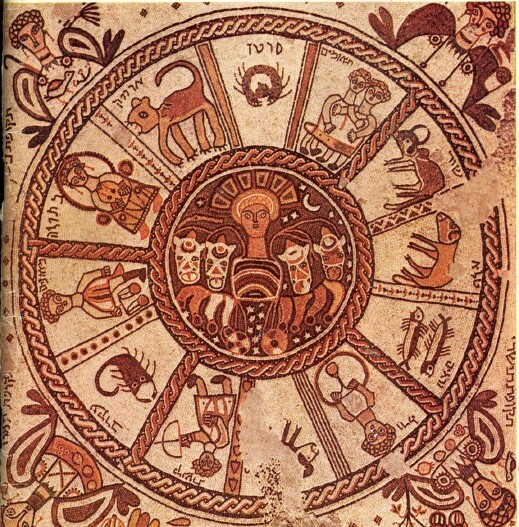 So the Kabbala is a mix of science and religion, astronomy and astrology, mainstream Judaism with dualist ideas. It’s written in code – of course – and has a multi-layered meaning. To get to grips with it is to lift the curtain that separates our physical world to another realm beyond – the true realm. So – how do the Templars fit in to all of this? Well, according to some – they weren’t set up to protect pilgrims. Forget all that nonsense – that was a cover for their true purpose. They grabbed a spot on the Temple Mount in Jerusalem as their headquarters because, Indiana Jones like, they were after a very big prize. And off they went digging for the Kabbalah underneath their own feet. Evidence that they discovered the Kabbalah was their effective rejection of Christianity and adoption of magical and mystical symbols and beliefs. Look at the weird imagery you find in Templar churches like pentagrams for example. Having got the secret, they set about destroying all those through crusade who might also have knowledge of the Kabbalah. The Templars wanted to be the only force that truly understood this magic. So did the Templars really find the Kabbalah? There’s no doubt Kabbalism does pop up with vigour in Europe in the Middle Ages, mainly among Jews living in Provence in modern France and more importantly, muslim ruled Spain and Portugal. Karen Armstrong, in her book ‘The Battle for God‘, argues that Jews in Spain turned to Kabbalism as their situation grew steadily worse at the hands of invading Christian forces that eventually took the entire Iberian peninsula and drove many Jews in to Morocco. In effect, Jews turned to magic as their real earthly power and influence diminished – it was a belief system based on utter despair. A pleasure to happen upon a kindred spirit — only surprised I didn’t find you sooner. My new novel, The Rabbi’s Knight, is due out (after a more than 10-year gestation) in August. A fictional history/thriller/mystery, it tells the story of a Knight Templar at the twilight of the Crusades (1290) who apprentices himself to a prominent rabbi to learn how the secrets of Kabbalah might unlock the secrets of the Temple Mount in Jerusalem. I just down-loaded your book to my kindle and look forward to reading it. Also look forward to checking your blog…and in that regard, would you be interested in guest blogging on mine and returning the favor?